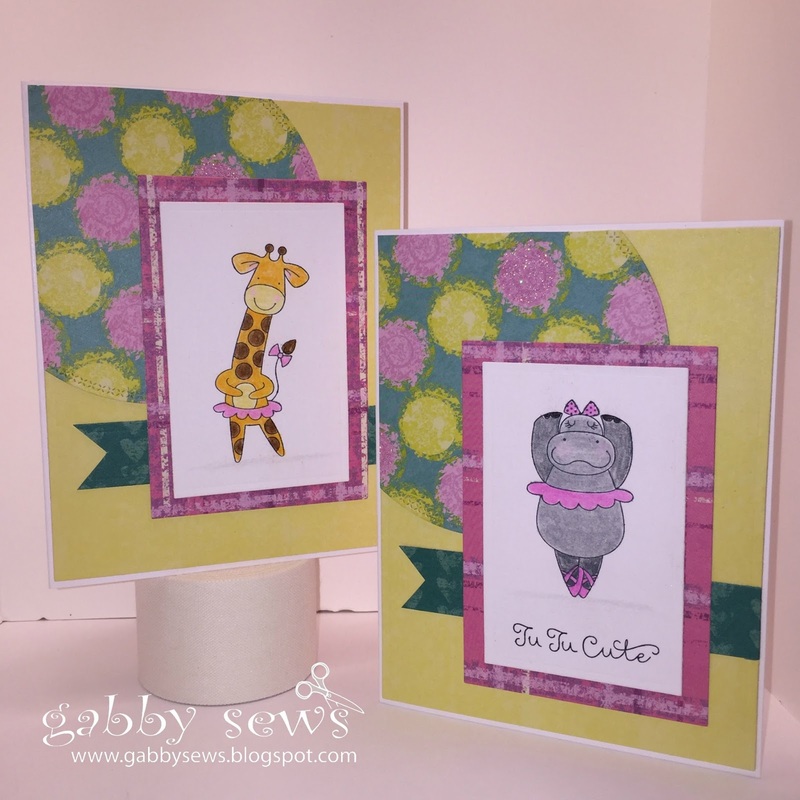 gabby sews: Hippos and Giraffes! I used Mojo Monday's sketch 454 for these cards. The paper came from The Paper Studio's So-So Sweet Mat Stack. The layers were cut using some layering basics dies from Spellbinders and an awesome cross-stitch circle die from Gina Marie Designs. The stamp set is Safari Ballet (A1180) from Close To My Heart. We have a new catalog coming out on August 1st and I'm not sure if this stamp set is being held over to the new catalog or not. I colored the images using Prismacolor colored pencils and I also used the new Spectrum Noir Clear Sparkle Pen on their little tutus and bows.